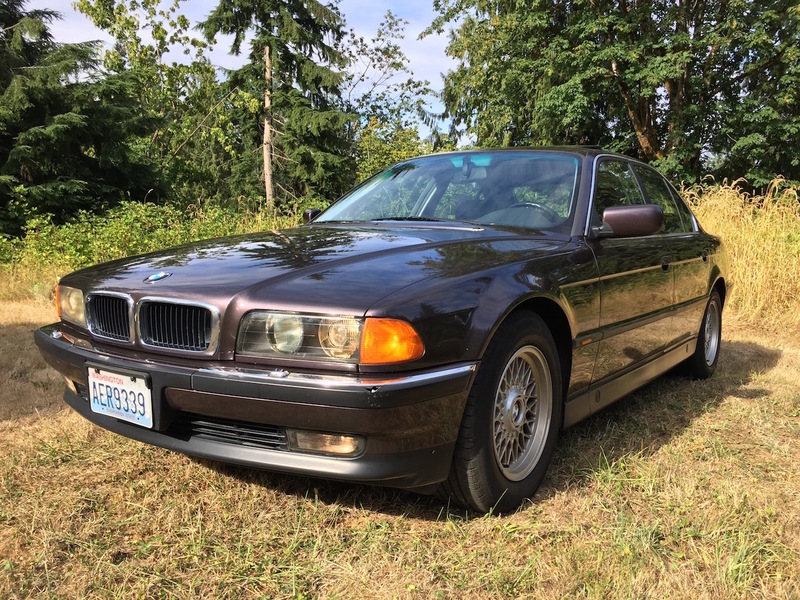 Price = $1850 The current MIWG fleet has four big Bimmer sedans, two e32’s (both 750i with one being a Dinan), one e23 (728i grey market), and this Aubergine e38 740i. I helped my parents buy this e38 about 10 years ago and it served well as their daily driver for a decade. The maintainence finally was too much for them to keep up with and they gave the big Bimmer to me.